Zong produces an exceptional Wi-Fi device for its customers with the name Zong Fiber Home. This is latest 4G device has launched from this telecommunication and it provides countless unique varieties for all the buyers of this service. 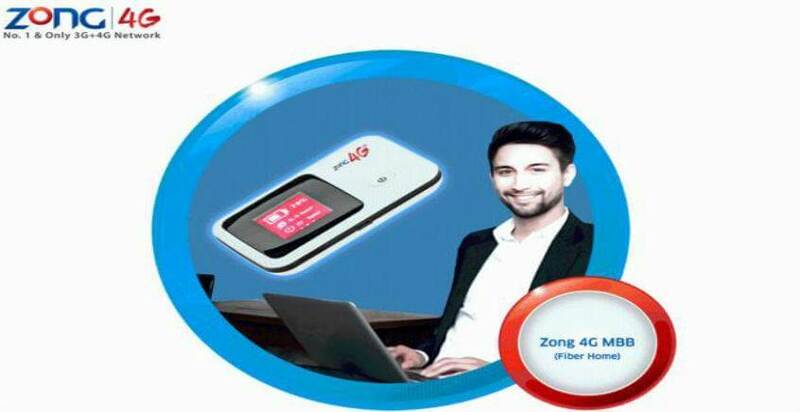 All the users of this network can easily purchase that device and use it with Zong internet SIM. This telecommunication is really expert to provide sensational internet products and offers of its valued customers in the few months back they have generated Super 3G dongle and Super 3G Mifi offer for its subscribers and now they have generated Zong fiber home 4G MBB devices with an exciting internet feature. This telecommunication always tries to provide an exceptional technology service for consumers and they work hard to achieve success for serving a phenomenal technology offer of its valued customers. This is latest offer but in few days it will be one of the popular devices in telecom market of Pakistan. This is really preferable service for the users who work through internet service so they consider purchasing that feature to utilize fastest net facility to do the various works. All the official person in Pakistan who earns money through internet so they really need this kind of service to use multiple things and they also want to connect lots of connections at a single time so this telecommunication has sorted out problem for all these types of people by launching it and now you can enjoy all these required facilities from purchasing this offer. This is efficient feature for all those people who mostly travel in multiple cities in a month and they really want an excellent facility to use internet so now you can purchase that feature and put on that USB device into yours laptop and can easily enjoy Fiber home service of Zong. This service provides 3G and 4G network facility of buyers and customers can avail multiple connections at same time without any issue. The rates of this device are very affordable and all the internet operators of Pakistan can easily afford that feature to purchase without any issue. In this modern era someone really wants to avail an excellent internet service to do multiple tasks like downloading, browsing and chatting so this deal has created for all these kinds of internet operators of Pakistan. Why are you waiting? If you are an internet lover and want fastest internet facility so purchase it promptly and enjoy an excellent fiber home service of this telecommunication. Maximum 10 connections can connect at same time. It provides facility of 3G and 4G network users. Speed: Up to 150 Mbps. Customers can purchase this device in just RS 3000. This is device base rate and buyers need to buy bundle to availing internet facility. Buyers can get prepaid MBB Monthly 50 GB in just RS 2000. Buyers can get prepaid MBB Monthly 100 GB in just RS 3800. Buyers can get prepaid MBB Monthly 150 GB in just RS 5000. Buyers can purchase prepaid MBB Monthly 200 GB in just RS 6000. Buyers can purchase prepaid MBB 3 months 24 GB in just RS 4000. Users can use 24GB in one month.